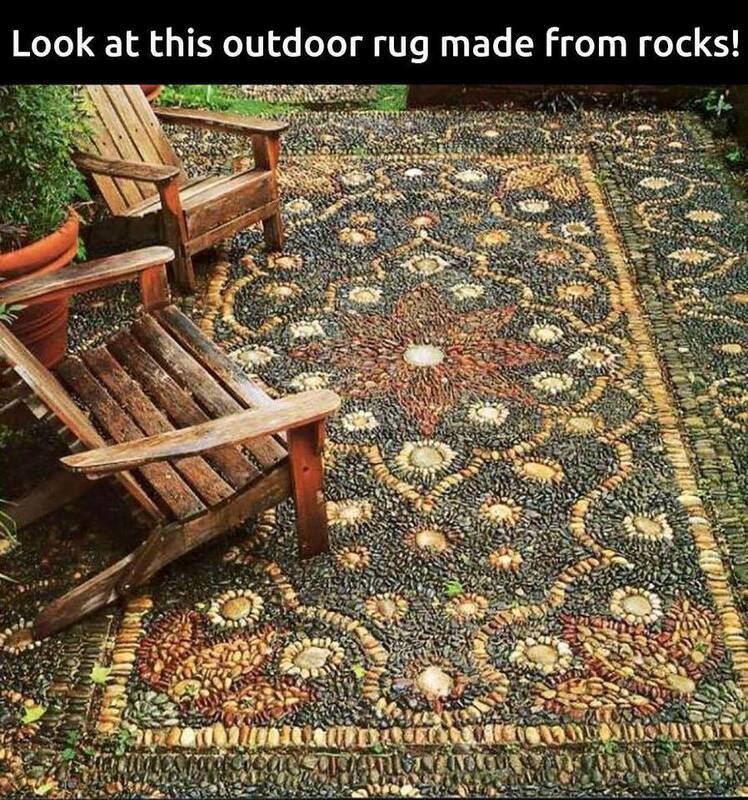 This is a wonderful example of a do it yourself outdoor stone rug. It would look exceptionally nice washed daily, allowing the water to enhance the stone colors even more. If it looks like it is too large or overwhelming, you could start with just a few of your favorite stones in the center, working out as you find and add more stones over time. Perhaps a small square shape to start with, or a circle. Then add to each side as you collect more material. Rocks are beautiful and even prettier when wet. That is a good reason to use them in landscaping here in the pacific northwest area where there is a lot of rain. Energy is everywhere, and comes in many forms. Stones exude their own form of energy. Enjoy your rocks, stones, and crystals, allowing their energy to flow from them to you and your surroundings as they enhance your surroundings and flower beds. Another example of stone use is to start with a certain color of stone as a center and work out toward the edges with other colors. You can make anything as elaborate as a rainbow effect, to a simple pattern of single lines or squares of various colors. Experiment in your own yard or driveway for desired results. You might even want to lay out a design with paint or driveway chalk before you lay the stones in. Whatever you do, enjoy and appreciate your energy healing stones. No doubt, Louise Hay has done it again. 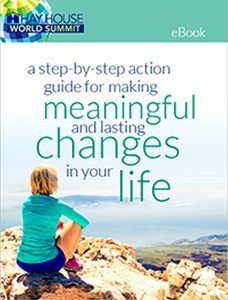 This year, she has assembled an all-star lineup of Hay House authors to help you on your life’s journey and take you to the next level and beyond. 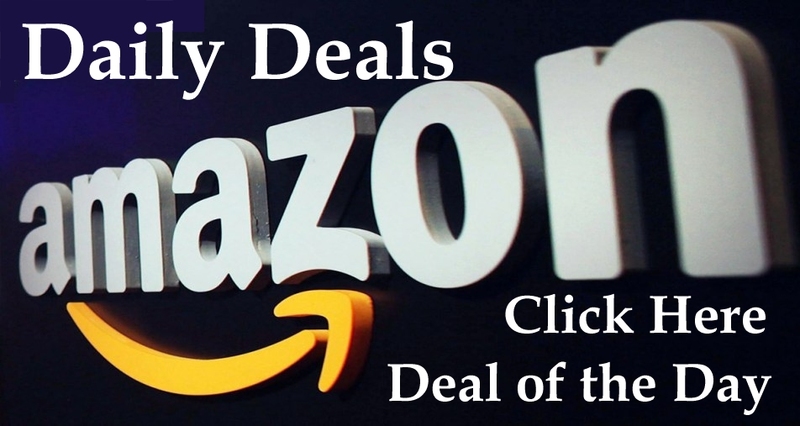 Touted as the World’s Largest Health and Wellness Event, you will get access to a hundred free online trainings, plus online streaming movies and TV shows to teach and inspire you even more. These full-length online seminars are power-packed presentations, that you would expect to pay dearly for, are Louise Hay’s gift to you as she joins with her favorite author’s to give back to the community at large. Thanks to Louise Hay and the family of Dr. Wayne Dyer, you will have access to Dyer’s first film, The Shift following the lives of three lives in the process of transformation. 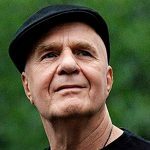 This film is followed up by other opportunities to delve deeper with Wayne Dyer in a combination of audio and video presentations, like Tales of Everyday Magic: My Greatest Teacher, Wishes Fulfilled, The Next Step and Change Your Thoughts, Change Your Life: Living the Wisdom of the Tao. 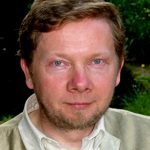 Eckhart Tolle author of The Flowering of Human Consciousness: Everyone’s Life Purpose, Finding Your Life’s Purpose, Awakening in the Now joins Deepak Chopra, M.D. in Who is Asking “Who Am I” each open with a 30-minute solo talk before appearing together for a 30-minute Q&A based on burning questions submitted by their online communities. 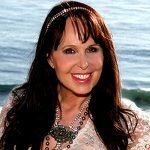 Author Doreen Virtue who has bless the greater community with works, like Assertiveness for Earth Angels, The Miracles of Archangel Gabriel and Archangels and Ascended Masters: A Guide to Working and Healing with Divinities and Deities is known as “The Angel Lady.” Doreen Virtue holds B.A., M.A., and Ph.D. degrees in counseling psychology; and is a lifelong clairvoyant who works with the angelic realm. She presents How Assertiveness Can Help You To Stay Positive for the event. 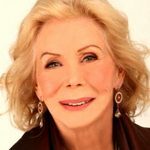 Louise Hay, the woman behind Hay House and author of You Can Heal Your Life shares a video presentation based on her work, “You Can Heal Your Life.” She also teaches via video in two separate installments of Tales of Everyday Magic: Painting the Future and Tales of Everyday Magic: The Magic Hand of Chance. Additional offerings include Creating Miracles in Your Own Life and The Woman Who Started It All where she discusses her career and share lively stories about the early days at Hay House with president and CEO Reid Tracy. 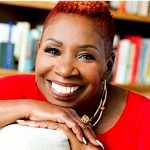 Former public defender and ordained minister, Iyanla Vanzant, author of Peace from Broken Pieces: How to Get Through What You’re Going Through, In the Meantime: Finding Yourself and the Love You Want, Forgiveness: 21 Days to Forgive Everyone for Everything and Until Today! 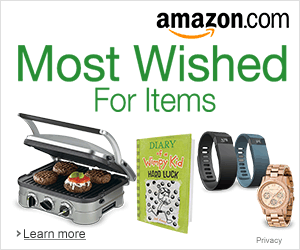 : Daily Devotions for Spiritual Growth and Peace of Mind was also a regular contributor on The Oprah Winfrey Show offers her support via her presentation Build Your Trust Muscles! 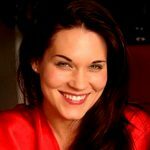 Spiritual teacher, Teal Swan, author of The Sculptor in the Sky and Shadows Before Dawn: Finding the Light of Self-Love Through Your Darkest Times and expert on authenticity and emotional healing presents Overcoming the Past: Trauma, the Shadow, and the Inner Child. “All of our trauma that we’re trying to resolve,” says Teal Swan, “is childhood trauma,” which keeps us stuck and unable to move forward. Teal discusses how triggers are “our past calling us back to find resolution,” speaks on what the shadow really is, and shares her leading-edge thoughts on forgiveness, positive focus, and inner child work. 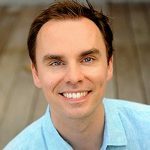 Personal development trainer and founder of the High Performance Academy, Brendon Burchard, author of The Motivation Manifesto, The Millionaire Messenger: Make a Difference and a Fortune Sharing Your Advice, The Charge: Activating the 10 Human Drives That Make You Feel Alive, Life’s Golden Ticket: A Story About Second Chances joins the cast sharing The Secrets to Motivation and Achievement which will raise your personal productivity by 30%! Leading thought leader, Esther Hicks, has been relating the Abraham-Hicks teachings which were the original inspiration for the “The Secret.” Esther Hicks, along with her husband Jerry Hicks, has authored Ask and It Is Given: Learning to Manifest Your Desires, The Law of Attraction: The Basics of the Teachings of Abraham, Getting Into The Vortex: Guided Meditations CD and User Guide. 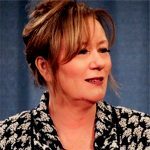 Esther Hicks shares via video presentation Great Expectations! 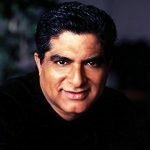 The Law of Attraction In Action and Money, and the Law of Attraction: Learning to Attract Wealth, Health, and Happiness, then wraps it up with The Evolution of the Law of Attraction. 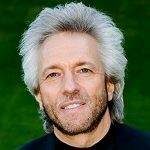 Gregg Braden has searched high mountain villages, remote monasteries, and forgotten texts to uncover their timeless secrets. Barden’s books include The Divine Matrix: Bridging Time, Space, Miracles, and Belief, The Spontaneous Healing of Belief: Shattering the Paradigm of False Limits, The Isaiah Effect: Decoding the Lost Science of Prayer and Prophecy, Secrets of the Lost Mode of Prayer: The Hidden Power of Beauty, Blessings, Wisdom, and Hurt delivers The Uncharted Heart: The New Discoveries in Science That Are Changing Our Relationships to Ourselves and the World and Entanglement for the Tales of Everyday Magic series. And that’s only ten of the long list of authors, teachers, presenters and consultants in the Hay House World Summit 2016 free event. Sign up on or before May 6th and get 4 additional seminars Some other notable participants include Colette Baron-Reid, Kris Carr, Christiane Northrup, Gabrielle Bernstein, Sonia Choquette, Mike Dooley, Barbara De Angelis, Pam Grout, Debbie Ford, Nick Ortner, Mike Dow, Liana Werner-Gray and Michelle Lightworker among others. 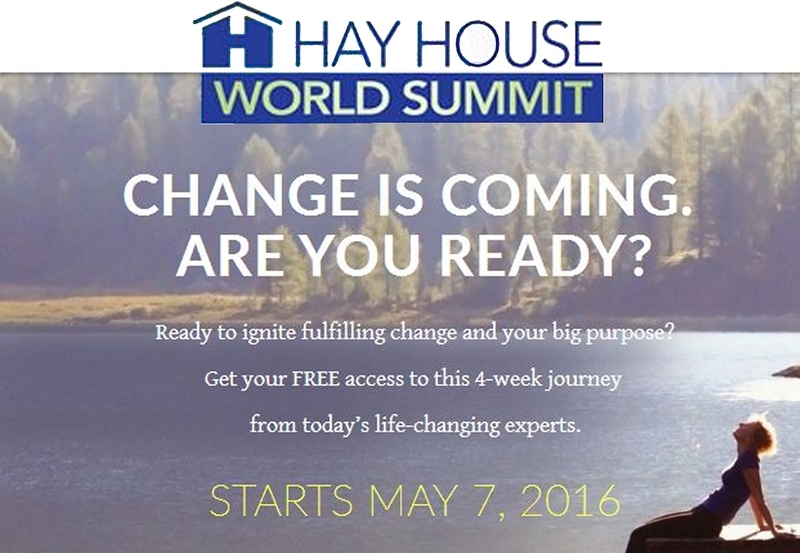 Click here for more information on the Hay House World Summit 2016 free event that kicks off Saturday, May 7th. Also receive your Hay House World Summit Welcome Kit including free ebook and 8 Tips to Enhance Your World Summit Experience, Choosing Your Growth Path – Speaker/Topic Guide, The Full 2016 Hay House World Summit Schedule, Worksheets, Writing Exercises, Progress Reports, and more! What are Energy Healing Stones? They can be any stone that looks and feels right to you. Stones open up what you are feeling. They can likewise change or cover up different things that you are feeling with in your being. The reason they can do this is because our bodies are fundamentally comprised of the same components that stones are. 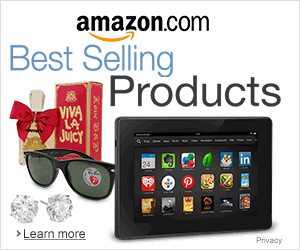 Subsequently, the minerals in the stones can change what we are feeling when they are in contact with our bodies. They have somewhat less impact when they are just in the same region of where we are, yet they can in any case impact us. Have you ever strolled by an immense precious stone and felt it pull you toward it? It is astonishing. You simply have a craving for strolling nearer to it and remaining in it’s nearness, basking in it’s great energetic vitality. You end up taking a good look at it and then begin viewing it from all points, simply asking why you feel so great remaining by it. How can this happen? It is because our bodies are encompassed by a vitality field called an aura. This atmosphere around us can respond to and with other outside influences. It resembles wearing our emotions on the outside of the body. It is a field outside of the body yet at the same time a part of and associated with the body. This field, or aura that we wear, can shield us from risk, let us know when irate individuals are near by, and caution us to hurtful impacts. It can likewise help us feel grounded, loved and have peaceful easy feelings radiating from other individuals. The aura enlightens out from the body in layers and is associated with the different chakras and is additionally enhanced by them. In the event that you are feeling outrage or are disturbed for reasons unknown, for instance, your liver is likely at a weaker state. Your stomach might be throbbing, and you are feeling over all anxiety. Negative feelings have a tendency to debilitate our organs and frequently bring about cerebral pains or surprise stomach aches. 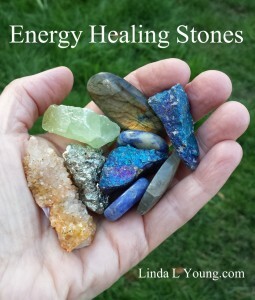 Energy healing stones can help you feel better, as accommodating devices. Utilizing or grasping and holding the right stone can lift your inclination, spirits, and sentiments upward. Some stones help to ground you, while others raise your feelings to a higher level. Our body responds to whatever is around us. You can learn to utilize stones and different components as devices to change and raise your vibration. They are here for your advantage in the event that you permit them to be and figure out how to utilize them properly. There are many tools that can enhance energy healing. Since everything is some form of energy, there are also things that conduct and increase energy. 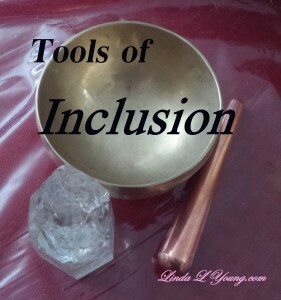 Some of my favorite tools include a copper singing bowl, a fire and ice crystal, and a copper wand. 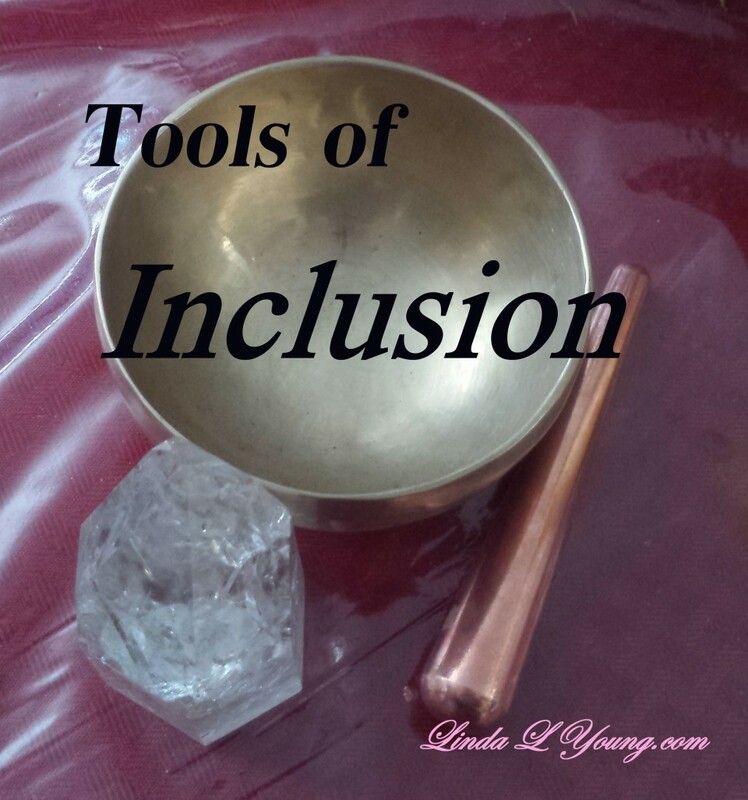 These tools can be used in different ways to increase the energy around and in you. As you strike the singing bowl, with a wooden striker, a distinct sound resonates depending on where you hit the bowl, and the force used when you strike it. It can be a quiet benevolent soft ding, or pressure can be increased to bring about more sound, resulting in a loud vibrant dong. Each sound initiating it’s own energetic healing vibration. The copper wand can be held in the palm of your hand, or placed on other areas of the body to increase or balance energy wherever you need it. It is quite amazing because copper is a great conductor of energy and electricity, and allows energy not only to be generated but also to flow freely, unblocking stuck or stagnant energy. Leave the wand in place for a few minutes to an hour, or carry it with you all day for the best results. My other favorite tool is a fire and ice crystal. I have many crystals, and enjoy them all. Some of my crystal stones are amethyst, some are quartz, and some are citrine. Crystals can increase energy, or balance energy. They can help you feel grounded or give you a boost in vibration. Choose which ever one resonates with what you need and keep it close to you or place it on one of your chakras for best results. Working with crystals can be exciting and fun or calming and reverent. Try using the tools you have to increase your energy. You can start by feeling the earth or grass beneath your bare feet. Just stand still for a few minutes allowing the ground to permeate your feet. Breathe deeply as you fill your lungs with air. Exhale deeply, and keep repeating the process until relaxation occurs and you feel connected to the earth beneath your feet. Then try holding a crystal or copper bracelet or your favorite stone and see how much better you feel by adding an enhancing tool. Keep this process going until you are able to feel your own waves of energy. Practice feeling energy and soon you will have more control over how your energy feels.